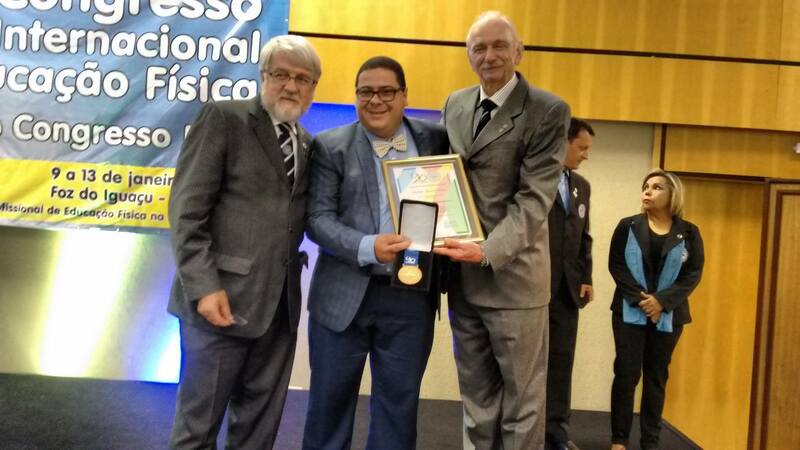 Professor Mataruna honored by the FIEP in Brazil. Professor Leonardo Mataruna started the new year with an award which honor his career dedicated to Physical Education and Sport. The award happened during the 31st International Physical Education Congress that took place in Foz do Iguaçu, Brazil, on 9th January 2016. The event and the award were organised by the Federation Internationale D’Education Physique (FIEP). Professor Mataruna was honored because of his career. Professor Leonardo Mataruna was born in Rio de Janeiro’s suburb, Brazil. Since he finished his undergraduate in Physical Education and postgraduate courses, he has travelled around the world through 89 countries following the sport and culture research opportunities. In the last few years, he has been focusing his academic research to the Olympic legacies by developing the Marie Curie Research project LONRIO, at Coventry University (UK). Besides the honor, professor Mataruna and his academic team also presented a paper along the FIEP conference.